This episode featured a larger cast than the previous show, including Arthur Hewlett as an Archbishop of Canterbury and also his twin; Joyce Grant and Carolyn Colquhoun as the Mother Superior and Sister Sara; and Bill Wallis and David Delve as Sir Justin de Boinod and Sir George de Boeuf respectively. The Black Adder was written by Rowan Atkinson and by Richard Curtis and all six episodes were directed by Martin Shardlow. John Lloyd produced the series and Howard Goodall was responsible for the music. The Archbishop was released in 1983. It is 35 minutes long and originally aired on the BBC. 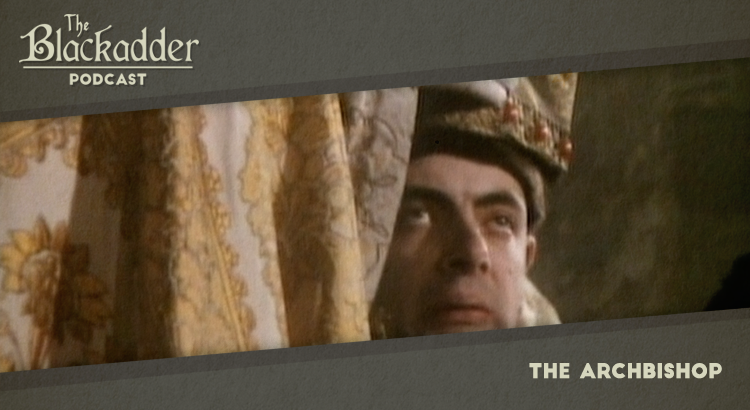 The Black Adder is presently available on Netflix and a remastered set of the whole series is available on DVD around the world (Region 1) (Region 2).